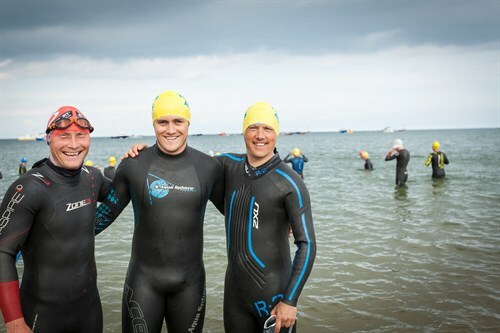 1500 of the fittest athletes from around the world are making their way to Pembrokeshire this weekend to take part in Ironman Wales on Sunday 9th September. Joining them will be 150 local men and women, who have been training since Christmas to take part in this legendary event. When it comes to our big sporting event, Ironman Wales, having fun is a really serious business. The competitors have to swim 2.4 miles, cycle 112 miles then run a marathon! They do get 17 hours to complete the course (the 2014 winner only took 9 hours and 7 minutes). Spectators have a slightly easier day but all that clapping. It’s exhausting! Ironman Wales is a spectacular spectator event that is well worth getting up for! The community of Tenby and the hundreds of local volunteers who help this event run so smoothly put in a stunning performance, making this day all the more memorable.